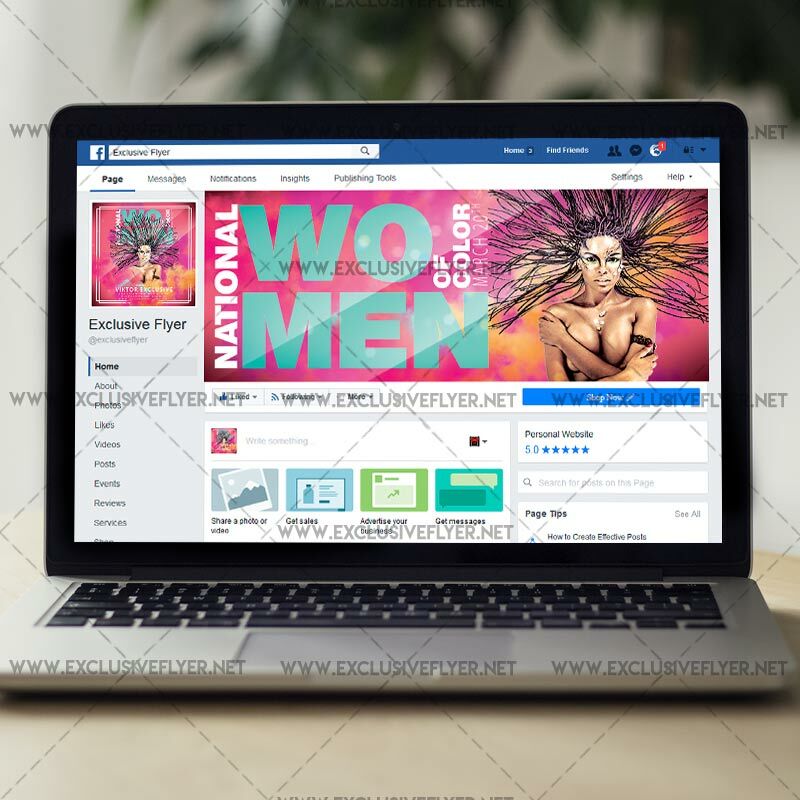 This National Women of Color Day Flyer is the exclusive Photoshop PSD template designed by ExclusiveFlyer team to promote your National Women of Color Day Event. SKU: 0.1345. Categories: Club Flyers, Seasonal Flyers. Tags: celebration, national holiday, national wonem of color day, women day, women of color. This holliday was found in 1986 and celebrate not only in USA, but all over the world! The main task of this day – create a community of indigenous inhabitants of Africa, India, Alaska, Asia, Spain and Latin America and solve their problems, hold international conferences and cooperate and learn each other’s culture! Among the most popular events on this day – conferences, exhibitions, charity concerts, shows, competitions, flash mobs. Massively popularized special literature explaining the rights of women of color on this day. 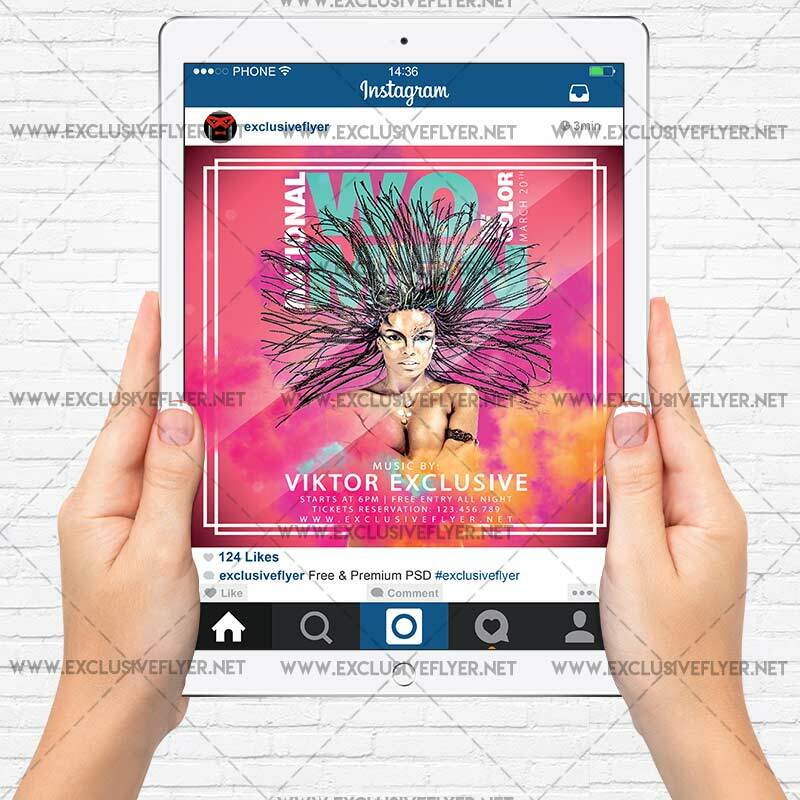 So, ExclusiveFlyer team decide to create original PSD flyer template to help you to promote you great event on this day. This is a simple designed flyer with HD model photo (photo included) and big clean tittle text, which you can easy edit.